Below are some table arrangements that we have created that we believe are truly stunning for any event. 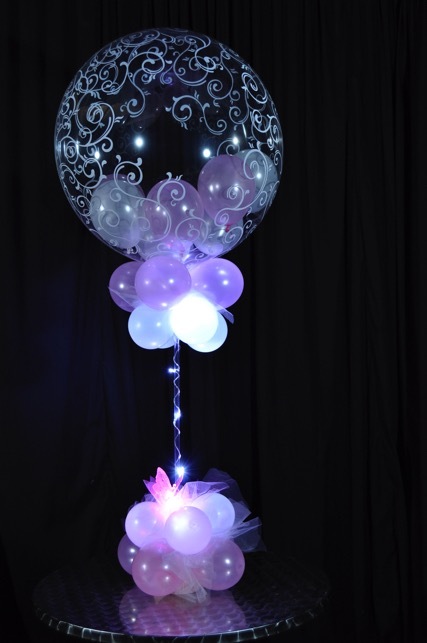 We can customise any centrepiece to suit your budget, your colour theme, your venue. 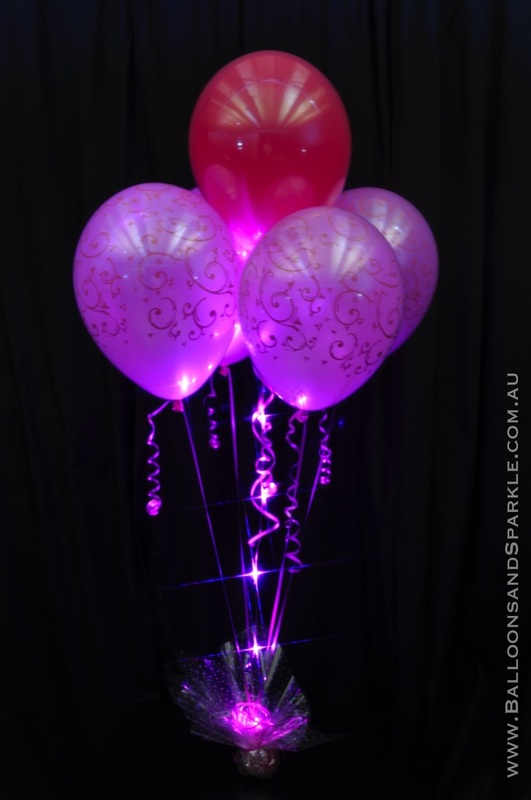 We Sparkle every arrangement, as we know what a difference it makes when you "Sparkle it "
Please do not ask us to make balloons you can buy in Big W or a Dollar Store - we create stunning balloon decor that people admire. OUR NEWEST SIGNATURE CENTREPIECES - Sparkle Halo Bubbles, these are stunning and unique to Balloons and Sparkle. The L.E.D lights completely surround the balloon and go down to the base. Personalised for your special occasion. A Personalised Sparkle Halo Bubbles. 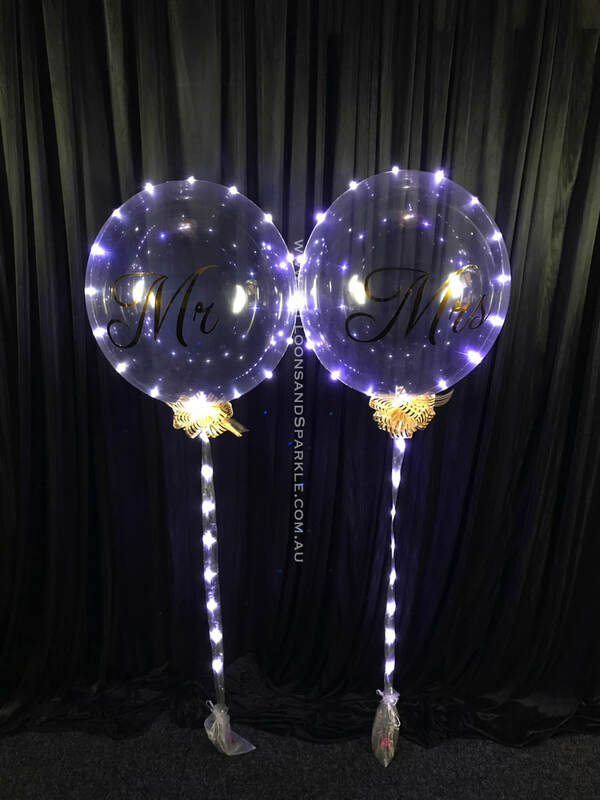 Clear air filled 61cm bubble balloonswith stunning l.e.d lights around the entire balloon and inside the clear acrylic Rod We then personalise the clear balloon and add an organza bow at the neck. 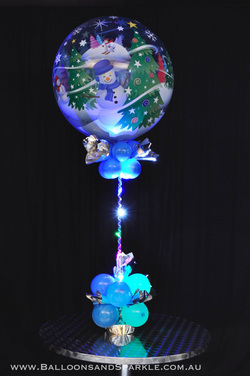 This balloon $65 each, personalised with lights. 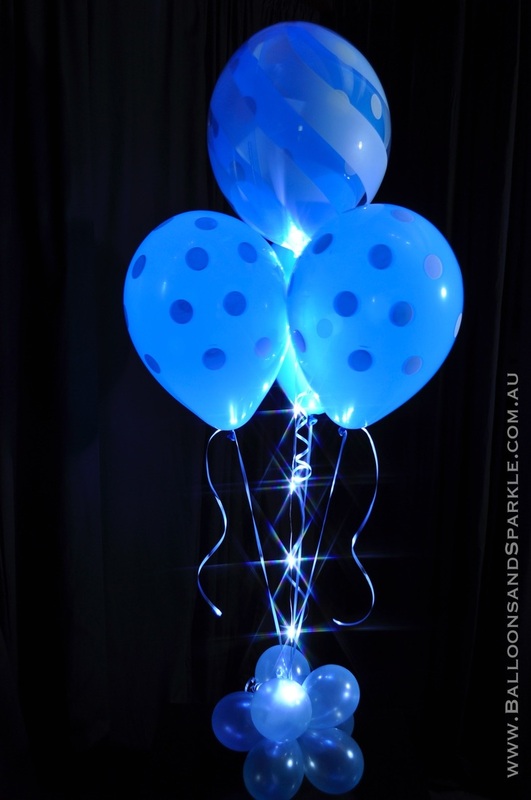 We call them Personalised Helium Sparkle Halo Bubbles. 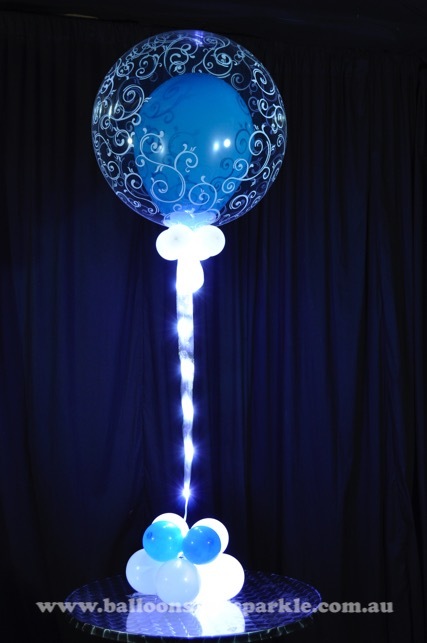 Clear 61cm bubble balloons with stunning l.e.d lights around the entire balloon and down to the floor. 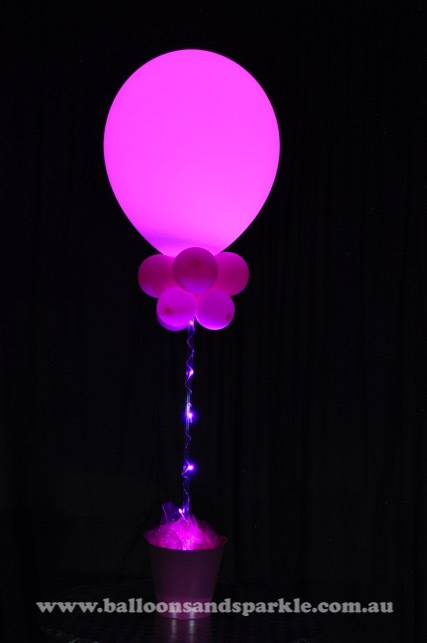 We then personalise the clear balloon and add an organza bow at the neck. 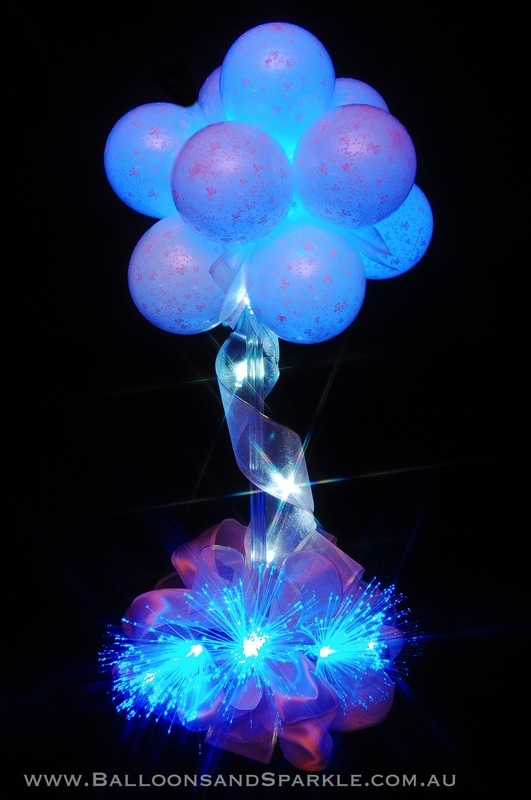 This balloon $60 each, helium filled, with lights. 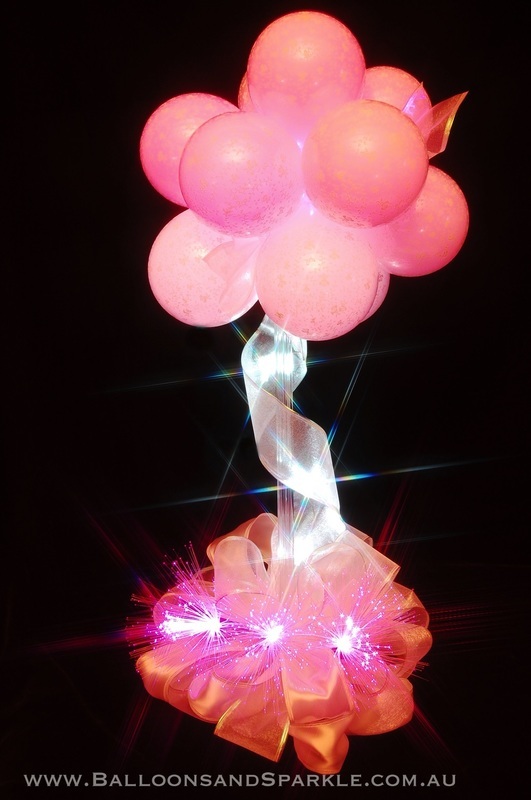 These are Stunning Air Filled Personalised Sparkle Bubbles - these are centrepieces that we are known for. 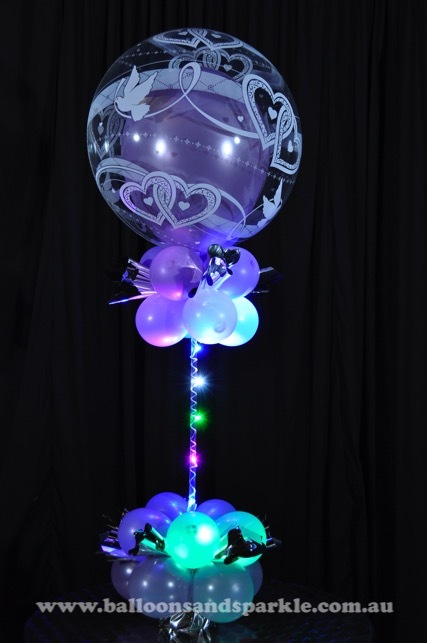 They last for weeks, light up in any one of 7 different colour options, they are created just for you for your special occasion. 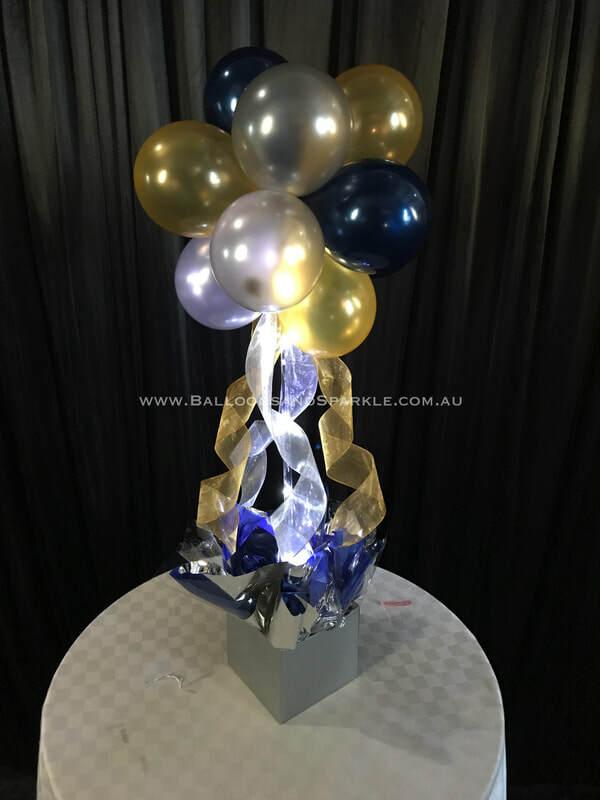 Prices start from $55 each centrepiece. 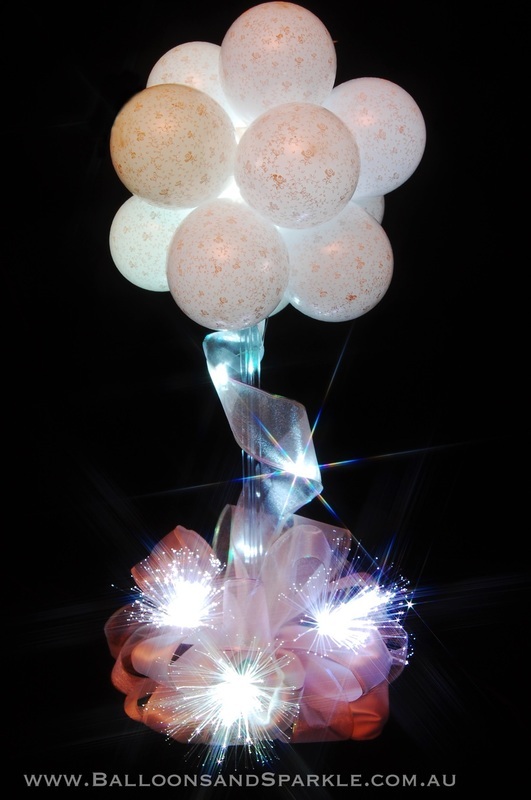 White deluxe table topiary with Sparkle Ribbon® and Sparkle Lites® Fiber optic fireworks. Available in small - medium & large formations. Priced from $40 each. More mini sparkle balloon topiary's, elegant little table arrangments, this style is only $25 each. 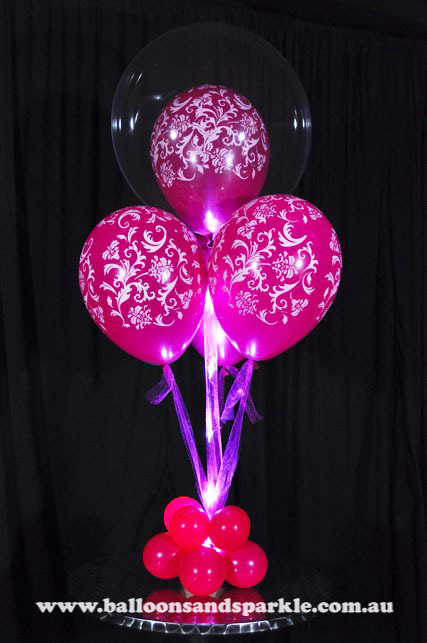 Minimum of 4 per order, or you can pick up a minimum of 2 of them from our premises if booked in advance. The lights last for more than 48 hours and they either blink or glow. 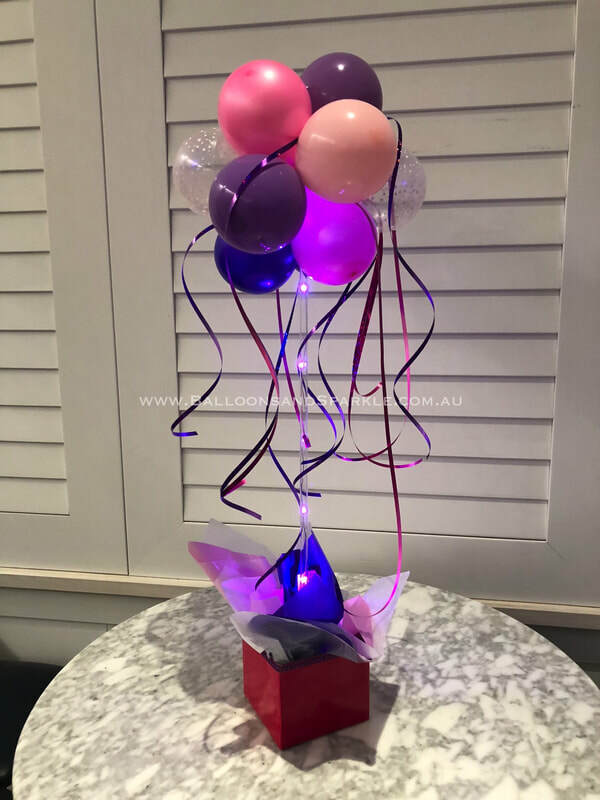 This mini sparkle topiary is a deluxe with wide gorgeous ribbon draped from the ball of balloons, this is $35 each, minimum of 4, or you can pick up a minimum of 2 from our premises if booked in advance. 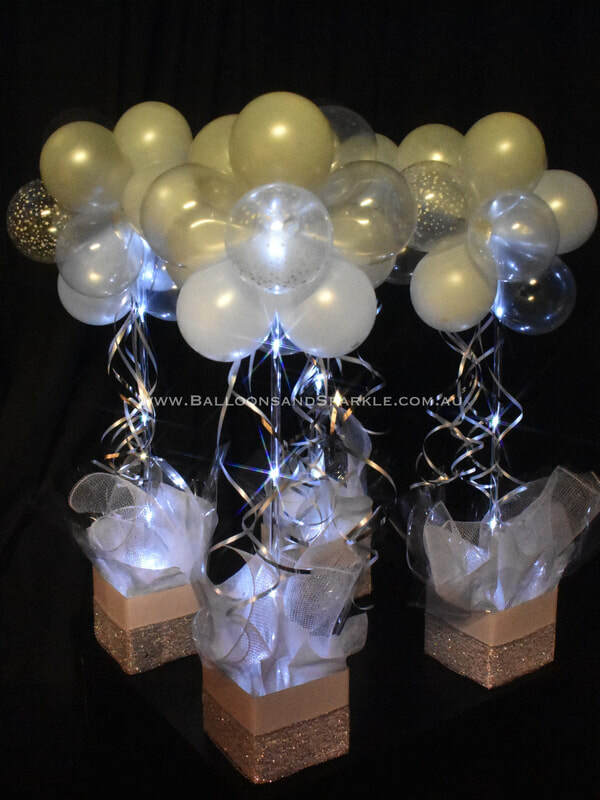 Beautiful, pure, elegant white and silver and clear mini sparkle balloon topiary trees. Only $35 each with the deluxe box and balloons. Minimum of 4 or pick up a minimum of 2 if booked in advance. Beautiful for any event.